Picture Mia Mattsson (c) 2011 A small, fragile little angel has arrived at our hospice. We all are already so in love with her. I think it is because her story touches us enormously, and many times pain and evilness can join us together. My friend Martina sent me an email one week ago about this dog with a picture with the story (read earlier blog.) She asked me what I thought. It is so great to work together with Martina since she is so much my eyes. It’s a jungle out there with different cases and every day we get so many requests, but Martina knows. 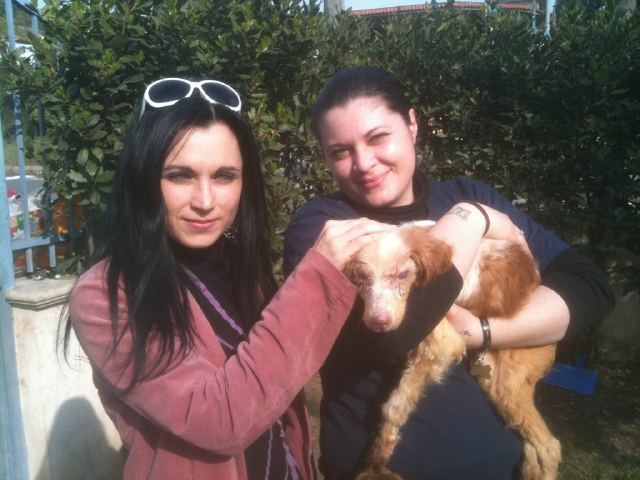 This past Sunday came Sunday Rose, together with the veterinarian Sara who had saved her from drowning in the ditch. Martina was also there helping to greet our new girl at the Hospice. Sunday Rose had been thrown like an old rag into a ditch. She was laying there barely alive, her claws were so long and curled. 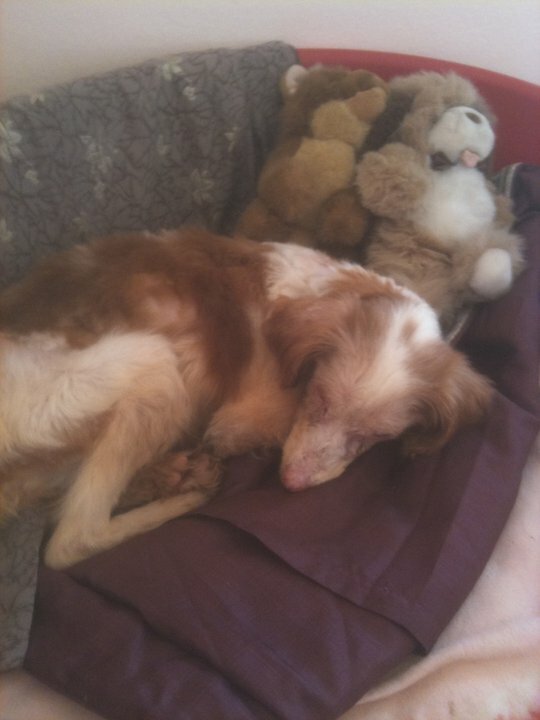 Someone had dumped her, this 15 years-old female, blind, arthritis and yesterday I got a text that she also has leichaminiosis. But what I like with my team is, and what we have learned, is that the diagnosis can be bad but we fight for our clients (as long as they don’t suffer.) We are generally not used to see sick animals (nor many sick people either — we hide them away, rarely seen or heard, certainly not out roaming on the streets) so we fear what we see, scared about being reminded about pain and death. Does it scare our sense of immortality? Sunday Rose is doing wonderfully. She has her dog bed in her bedroom, and the balcony doors are open and she goes out on the blanket and lays in the sun. She eats a lot, we all smile when she “Hoovers” in the good nutritious food, and she has two teddy bears that she loves to snuggle up with. 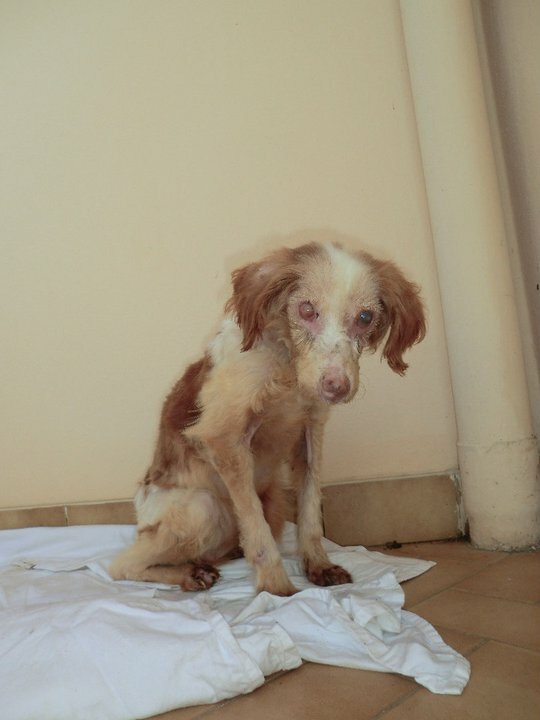 We still need help with donations for her treatments because her medicine is expensive -that is why many sick animals are being dumped here. People cannot afford to treat the illnesses and many don’t want to be lectured at the veterinarian clinic. Their belief makes them leave the dog so God can make the choice. When they hear about us, they say God sent us to save their animal (it is delusional and a self-fulfilling prophesy). Love has different eyes and minds, can we call that Amore?